Hot Sand Sauna Room. 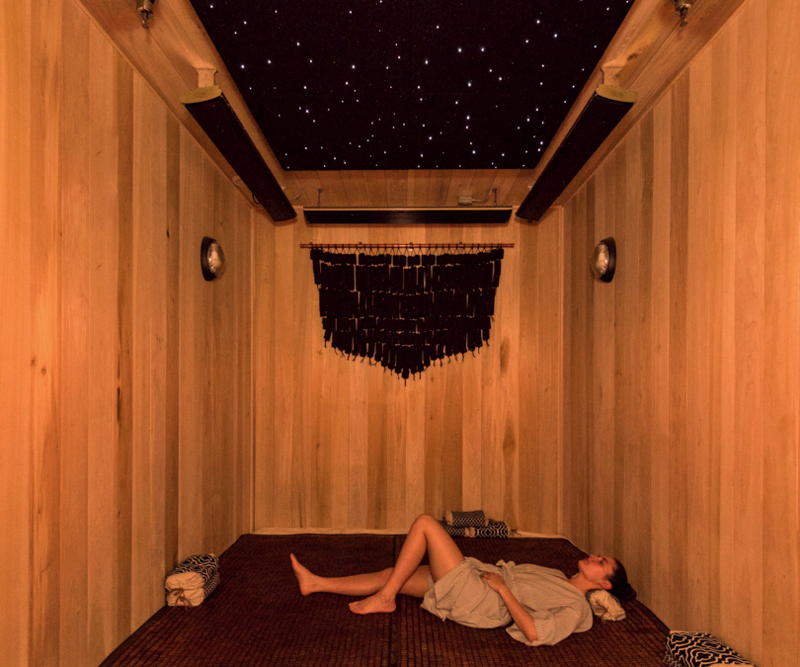 You’ve heard of the Hot Sand Room, Bend’s newest secret pastime. But what are the benefits, and how is it different from a conventional sauna? We’re happy to break down the room, the benefits, the far infrared heat, and how you can try it out for yourself below. A conventional sauna is heating the air around you, to a temperature of 170°-200°F. That’s why breathing in a sauna can be sharp since the air is so hot. Infrared heat is different: it heats objects, not the air. That alone makes it a more efficient, productive heating system that is relaxing and therapeutic. Far infrared waves penetrate into our body to activate the sweat glands. The sweat glands offer one of only a few mechanisms that the body has to eliminate toxins and since the skin is the largest organ in the human body it is apparently a very good means for elimination. When far infrared waves are applied to water molecules (comprising 70% of our body) these molecules begin to vibrate. This vibration reduces the ion bonds and the eventual breakdown of the water molecules causes encapsulated gasses and other toxic materials to be released. If you’d like to visit our Hot Sand Sauna, you can book a treatment and before or after, visit our sauna and steam room. For $20, you can enjoy the sauna and steam room anytime we’re open. And of course, Spa Members get an additional complimentary visit/month, should they want to. Just another perk to become a Spa Member!! Dial (541) 241-8454 to book your Sauna Session. Consider other gems, home goods, and organic self-care products when shopping our Welcome Boutique on your way in or out at our new location of 1835 NW Pence Lane, Suite 120, off NW Shevlin Park Road on Bend’s westside neighborhood, at the bottom of College Way. Read Anjou Spa Reviews here, and learn more about our Anjou Bend Spa Membership too.